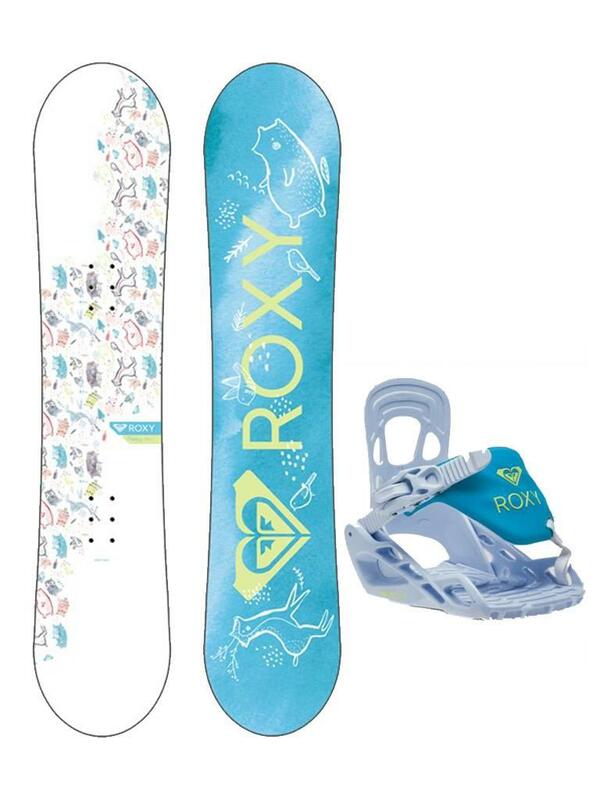 A Roxy child snowboard perfect for beginners ... The Roxy Kids Snowboard + Fixation Pack Poppy Girl will allow little girls to get into the snow without difficulty. A Roxy child snowboard perfect for beginners ... The Roxy Kids Snowboard + Fixation Pack Poppy Girl will allow little girls to get into the snow without difficulty. With it, it will be easier than learning to ride a bike with small wheels, all with a very girly design that should make it crack more than one ... With its ultra flexible flex makes snowboarding fun for kids. smaller and light riders while ensuring they turn and stop easily. With its inverted camber it is so easy to take in hand, it quickly builds confidence. Thus, she will not be afraid to jump on the slope and take her first steps on a snow. It will also allow him to progress quickly and why not go past mom and dad;). Her Snowboard Girl snowboard bindings are flexible and easy to handle by parents. They are also pre-mounted in a stance suitable for beginners. It only remains for you to embark, it can not be easier. Attention, the color of the soles of snowboard can be different from that presented. Brands produce different sole colors for the same model, of the same size. Inverse Camber: For easier turns and better control of the board.